EghtesadOnline: India imported 528,000 bpd of Iranian oil in September, up by 1% from August, due to delays of some August cargos until Indian refiners received the government nod to import Iran’s oil on Iranian tankers with Iranian insurance. India’s imports in August stood at 523,000 bpd, down by 32% compared to July, after the US increased pressure on Iranian oil customers to significantly scale down purchases and outright stop buying Iranian oil with the US sanctions on Tehran returning in early November, Reuters reported. Some 44% of the oil from Iran that arrived in India last month was initially planned to arrive in August. 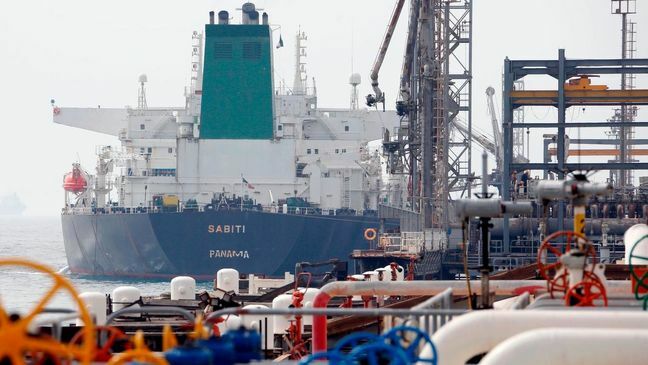 Buyers had to delay some August loadings from Iran to later in August or early September, because they were still waiting for government approval to import Iranian oil with Iranian insurance and tankers. Reports emerged in early September that India had given permission to state-owned refiners to import oil from Iran on Iranian tankers using Iranian-backed insurance, after the biggest Indian shipping company backed out of Iran voyages due to the US sanctions, Financial Tribune reported. India is Iran’s second-largest single oil customer after China and was expected to cut back on Iranian oil purchases, but is unlikely to cut off completely the cheap Iranian oil that is suitable for its refineries. India has already placed orders to buy 9 million barrels of Iranian oil next month. India’s November loading of Iranian oil will be sharply lower than its purchases in the April-September period. However, India has not yet worked out a payment mechanism for continued purchase of Iranian oil. Saudi Arabia, meanwhile, is set to deliver extra 4 million barrels of its oil to India in November, in what could be a Saudi move to replace lost Iranian barrels. Earlier this week, Indian officials said that they hoped India could secure a waiver from the US, because it has significantly reduced purchases of Iranian oil. Late last week, the US hinted that it was considering waivers.